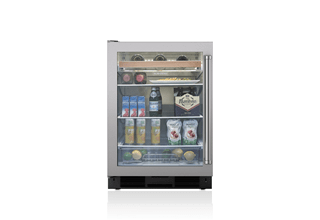 A Sub-Zero full-size food preservation system is more than a refrigerator. It is a monument to fresh, delicious food. With a vast selection of customizable full-size designs, widths, and styles, Sub-Zero units are designed to serve the needs of any space and enhance any décor. Select from a clean, stainless steel look or custom panels to coordinate with kitchen cabinetry. 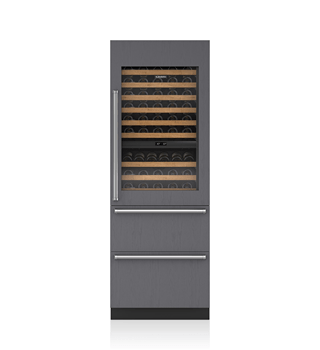 Full-size units include side-by-side, over-and-under, all-refrigerator, all-freezer, and French door styles. Maximize any space with the slimmest 18-inch units to unit combinations that span up to 72 inches wide. A signature look featuring an iconic grille, discreet hinges, top compressor, and either a stainless or custom panel-ready finish. A seamless look with flush installation, modular configurations, invisible reveals, and either stainless or “disappearing” custom panels. 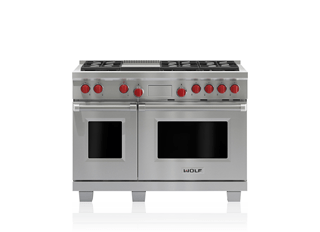 A bold, professional look that is equal parts sculpted stainless steel, design statement, and culinary secret weapon. Sub-Zero prolongs freshness and prevents waste by addressing the three pillars of food preservation: proper humidity, temperature control, and air quality. Each and every Sub-Zero appliance is rigorously stress-tested to perform for over 20 years of daily use and is backed by the strongest warranty in the industry.